Wondering in my new job and getting across new sources of innovation, it occurred to me how the innovation thoughts and speeches remain far from the hard facts of reality we all evolve in. I met some of my former co-workers and talked about big data. I also spent some time investigating the spread of big data in leading companies, talking to sales and consulting experts. They don’t hear big data in their day to day lives. They read it on news and marketing collaterals. What they face is big needs for simplicity, cost efficiency, and a greater connection to reality. There has to be an ideal, though. I’ve often worked in these teams focused on ideals. And we’re asked to take a step back from reality so we can concentrate on building bridges between reality and ideal. I know we sound “marketing”. We’d take a customer need, analyse it from a market point of view, understand the impact on strategy, and launch a thousand programmes (I a am merely exaggerating) to finally support half a dozen projects that would give birth to one product launch, hopefully answering that market need. In the meantime, we’d have calculated the full EBITDA business case bringing us margin and delivering value to shareholders. We’d have set up processes to validate appetite to market. We’d have raised awareness and brought customers, people and their needs, on board. In the end, we define a complex equation that aims at creating efficient solutions for a market, which you can call customer, segment, pilot, stake holder… In the end, we are marketing. Where do we draw a line between marketing, reality and innovation ? Maybe there doesn’t need to be any. If we’re all standing in one equation to answer needs, we’re not talking about linear, single dimension built type of solutions. We’re talking about real algorithms that alter reality by aggregating ideal and real facts to create the adequate solution. This isn’t answering a process, a shareholder, a customer, a partner need. This is answering all these needs and more. To me it sounds like a complex number definition : they have a real part and an imaginary part. 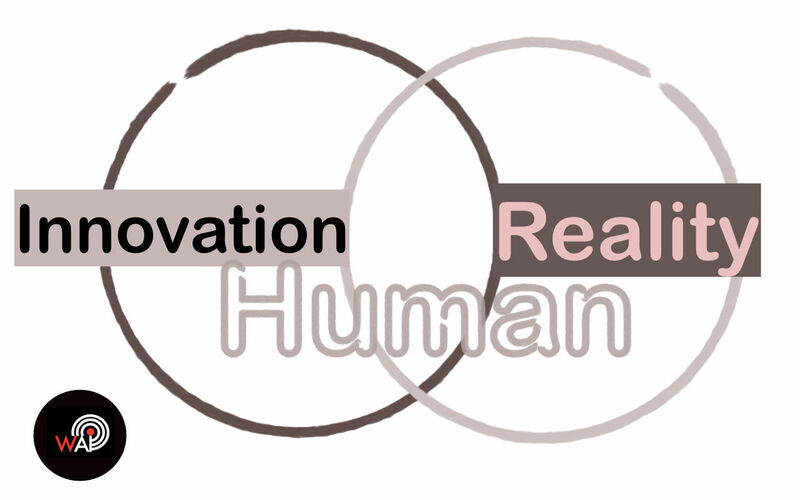 We need to make sure the innovation work we develop is in deep relation with real need. A need that evolves, that is difficult to narrow down, that may be expressed in a thousand different ways. A human need. Answers do not come out of the blue or out of business cases. They are are deeply anchored in the reality we face on a daily basis. “The marketing team talks innovation but my customer has no clue what they mean”. This is the type of daily reality we evolve in. Big Data should be used to close that gap, and not widen it. Innovation should be used to close that gap, and not widen it. The only way we have to humanize innovation is to develop it closer to its real roots, and make sure the innovation we talk about relates to a humanly expressed need.